The Institute each year awards Croft Scholarships to its most competitive incoming freshmen, the Croft Scholars. Croft Scholars receive $8,000 per year for four years. These are among the largest and most prestigious scholarships available at the University, and they may be combined with most other forms of financial assistance. Croft Scholars must maintain a GPA of at least 3.4. The Croft on-line application is both for admission into the program and for the Croft Scholarship competition. 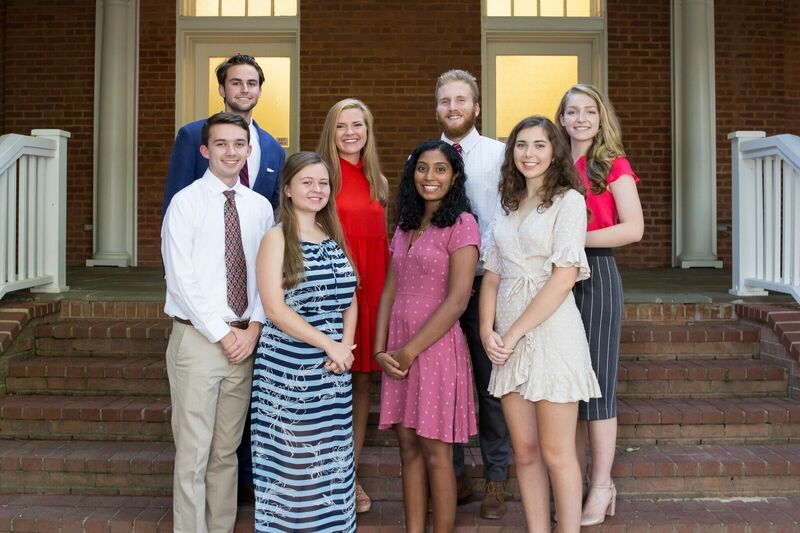 If you would like to be considered for other University of Mississippi scholarships, you must complete the general UM Scholarship application available through the UM online supplemental application. Croft scholarships are awarded each year to outstanding freshmen, the Croft Scholars. Croft Scholars receive $8,000 per year for four years-a total of $32,000, which may be combined with other scholarship support. The Rose Bui Memorial Scholarship for Academic Excellence ($8,000 per year) is awarded each year to the top rising sophomore who does not already have substantial scholarship support. The Foreign Student Scholarship for the most competitive foreign student in the Institute ($9,000 per year) is awarded every time the incumbent graduates. The Mike Aune Memorial Scholarship for a rising sophomore concentrating on Latin America makes a significant contribution to defraying tuition expenses.